My baby boy turned 6 recently! 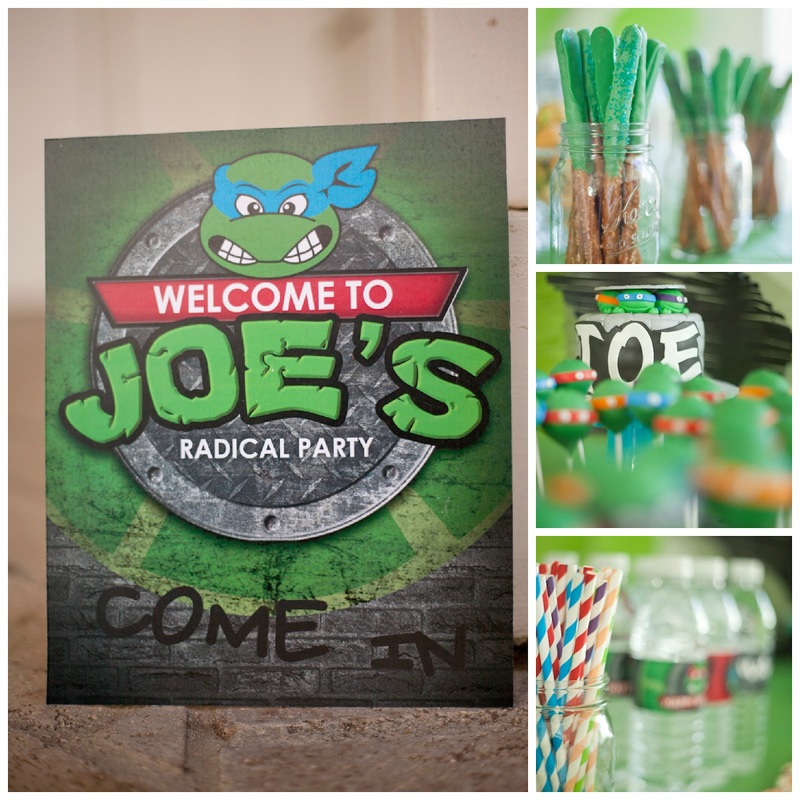 I still have a little negotiating room with him so when he said ninja party, I said how about Ninja Turtle birthday party and it was decided! 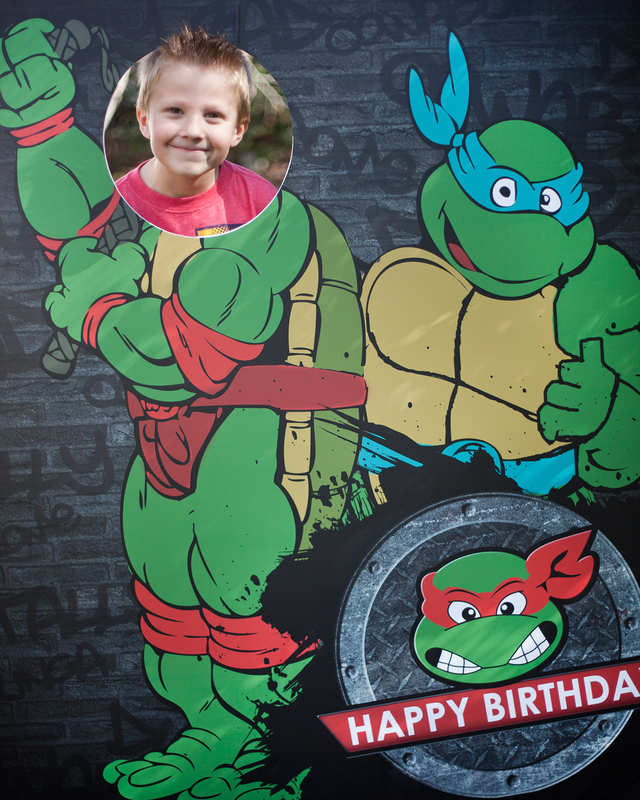 My friend, Lora Knight, came and took pictures all morning for the Ninja Turtle birthday party. I love how they came out! She also made a quick video! It’s at the bottom of the post, so awesome! I’m hesitant to give her a shout out because I don’t want to share her, but Nichole helps me plan, she builds and then we follow through with the plan. The night before the Ninja Turtle birthday party, she drove 45 minutes south of her house to get my dessert, then 2 hours north to bring me printables, dessert, and the insane cake stand she made, and then continued driving 6 hours north for a funeral. She is as good as they come people, for real. Cupcakes with red, orange, purple and blue sprinkles. Twizzlers added a quick grab and go candy. We made ninja juice, kool aid mixed in. 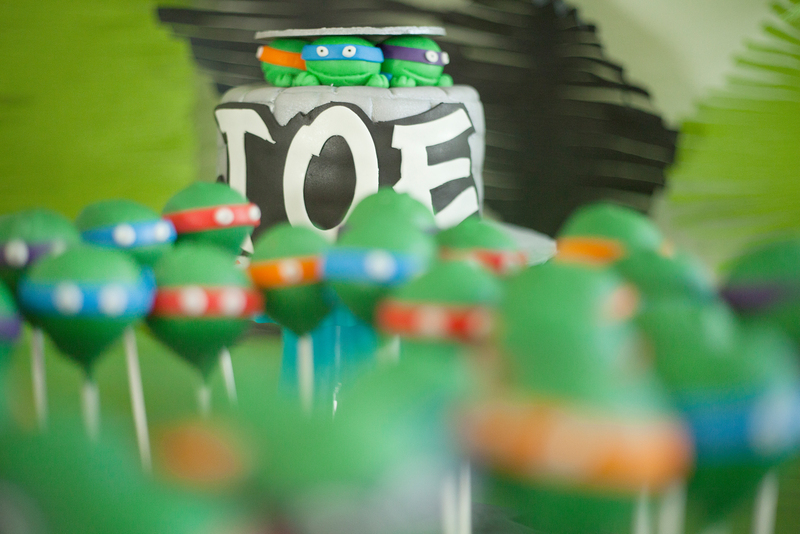 Going with our Ninja Turtle birthday party theme, we ordered in pizza. Seriously, how awesome is this cake?! Brady Cakes did an incredible job! Everybody got to pick their own ninja and they were delish. Nichole made my little guy this cake stand. I was trying to explain to her what I wanted and she totally exceeded my expectations. I wanted it to look exactly like this, but didn’t think it could, and she pulls out the wow factor! The kids loved getting their picture taken with the ninjas! When the thank you’s go out, they will get a copy of their picture also. Since the ninjas love their pizza, each kid got to take home their own 7″ pizza cookie! There were 27 kids…I was not thinking clearly. They also got those $1 foam swords and a mask to take home. 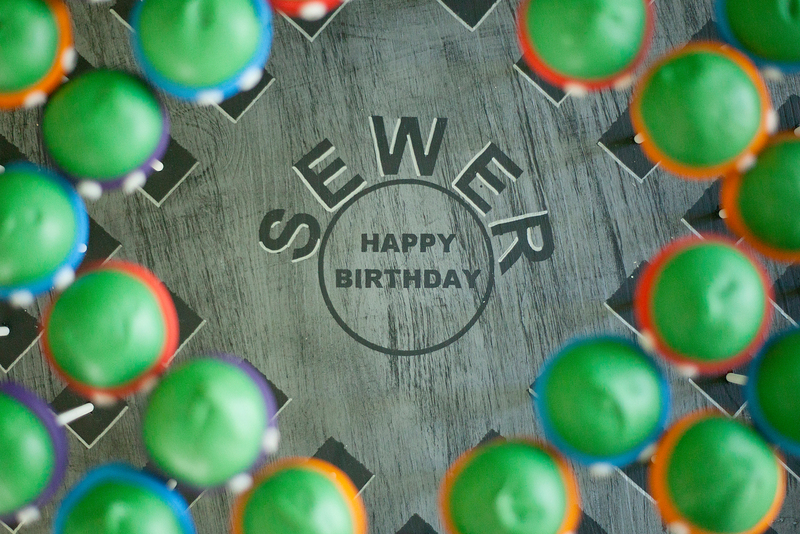 I never know how the weather is going to be outside in January so I threw the games for his Ninja Turtles birthday party together at the last minute. My husband is super appreciative when I do that 😉 We played pin-the-mask on the turtle and ninja ball. It’s dodge ball, except with tennis balls and green balloons as the ninjas. I tried to make it as kid friendly as I could. The boy thing is new to me and boys are just naturally into fighting and superheroes so instead I give them foam swords and balls! He is the cutest thing ever. He woke up that morning and it was like Christmas. He’s running around saying, “Wow mom, you’ve worked so hard! It looks amazing! Everyone, did you see what a hard worker my momma is? !” It melted my heart. 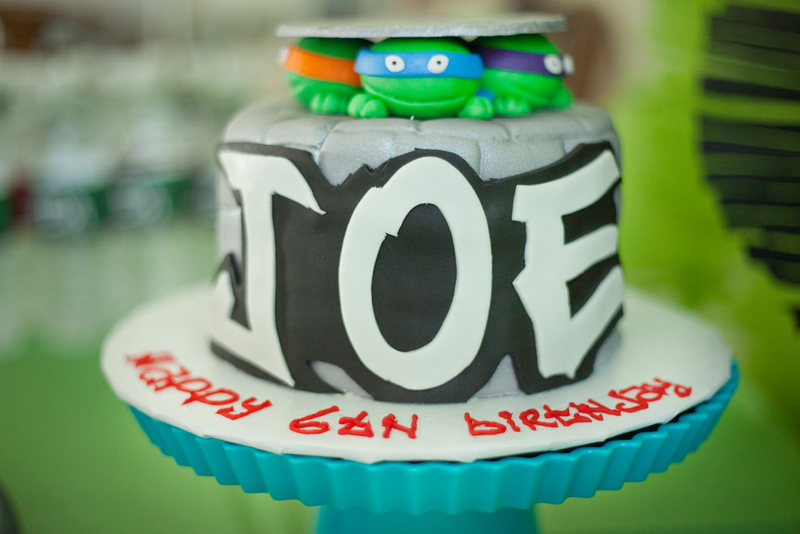 Hope you enjoyed your Ninja Turtle birthday, baby! Ninja Turtle Bash from Lora Knight Photo on Vimeo. Too too cute Jen!! The cake pop stand is amazing!!!! 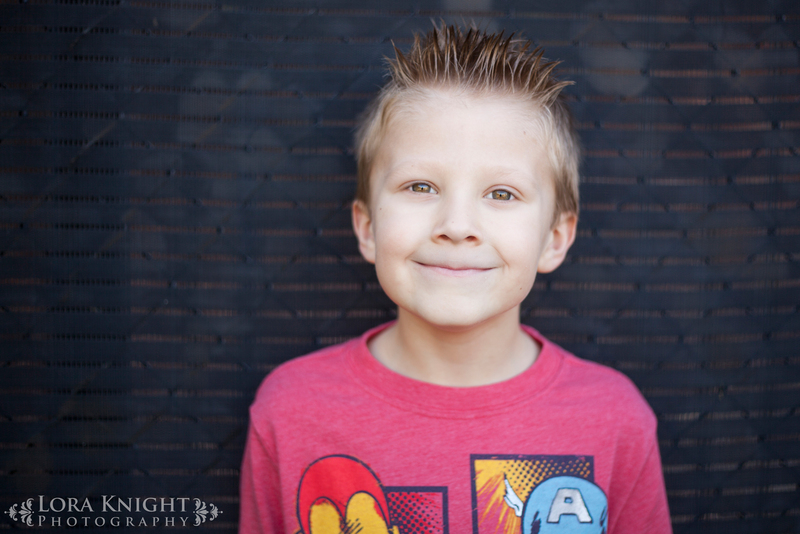 Happy birthday to your “little” man! Awe… thanks girl. I love your face! What an ADORABLE party. Way to go momma! Awesome! 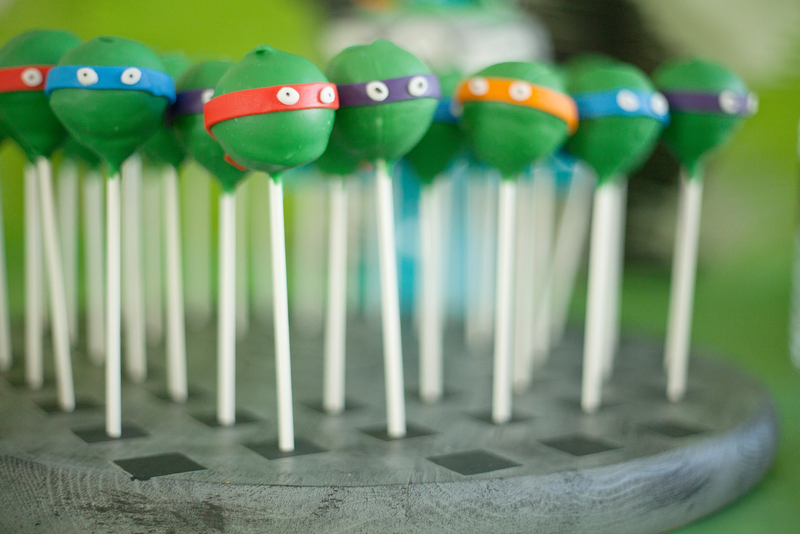 I have 2 Turtle-loving boys who would love this party. I’m pinning it for some inspiration this summer. Great job! HOW FUN!!!! Thanks for sharing at Pinworthy Projects! Beautiful party. You worked hard on that. I miss having my kids small and all their fun parties. Featuring you at tonight’s party lovely! LOVE it all, and not just cuz my brother’s name is Michealangelo 😉 THANK YOU for linkin up to my Sunday FUNday party! Hope to see you tonight!! This party is amazing! Pinning this now. This is AWESOME Jen!!! WOW!!! Can you throw me a party too?? Did you make the masks?? SWEET! I of course love his name…you are so being feature don tickled pink tomorrow! 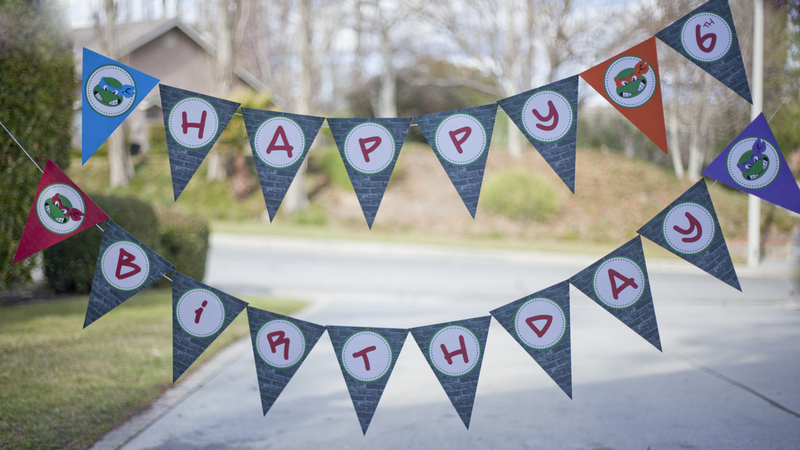 Thanks for sharing your awesome party! Tell me, where did you find $1 foam swords? I checked Dollar Tree, Family Dollar, Target, Party City… Finally found swords at Hobby Lobby at 40% off of $3.99- more than I wanted to spend, would of loved to find $1 ones! Love this! 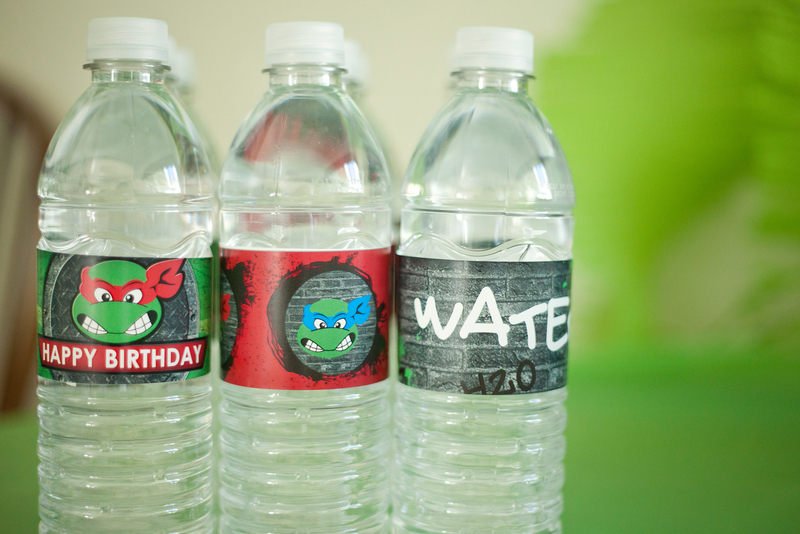 My son is turning 5 and asked for ninja turtle theme and of course im making everything myself. I was wondering what did you use for the masks? Love it! How did you make the lollipop? It was a busy port handling up to three quarters of all shipping during the 1860’s. Good post. I’m a regular visitor of your website and appreciate you taking the time to maintain the nice site. I’ll be a regular visitor for a really long time. What is the dimensions of the cake pop stand? Also, how many black squares were painted on this therefore how many cake pops did you present on top? 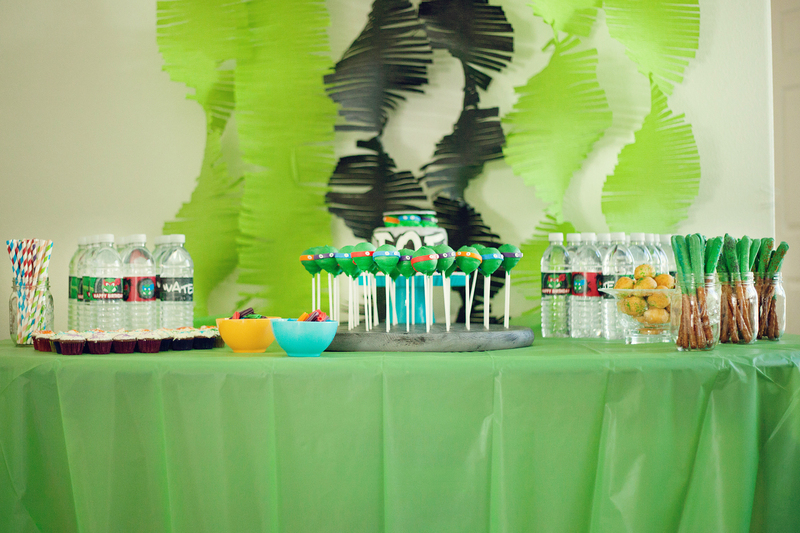 lucky kiddo this party looks awesome! wondering where i can purchase the welcome sign and thank you cards.